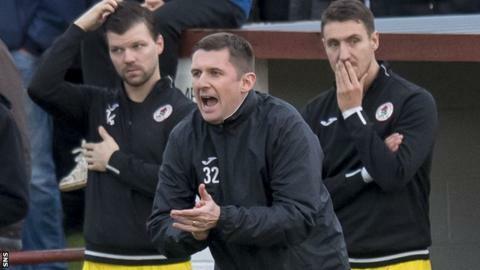 Robbie Horn has been appointed manager of Scottish League Two side Berwick Rangers, replacing John Coughlin who left after eight games of the season. Horn played for the Shielfield Park club for six years and was assistant boss to Colin Cameron in 2014 and 2015. He most recently managed Bonnyrigg Rose where he won the Super League title. Berwick chairman Len Eyre said: "We are delighted to have agreed terms to June 2019 with Robbie and are looking forward to working with him." Horn led junior side Bonnyrigg Rose to the Scottish Cup fourth round last season, their run ended by Hibernian at Tynecastle. In his parting message to the club's fans, he wrote: "It's with a heavy heart that I have made the decision to move on to pastures new but I feel it's an opportunity at this stage I can't turn down. "I have always said that I wanted a crack at senior football as a manager and looking at it in reality Berwick was probably the best chance I was ever going to get with the affiliation I have with the club. "I'm ambitious and determined to prove I can manage at a higher level."